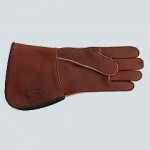 Our Single Thickness Gauntlet is the cleanest design available, in heavy goatskin, and is stitched in nylon. 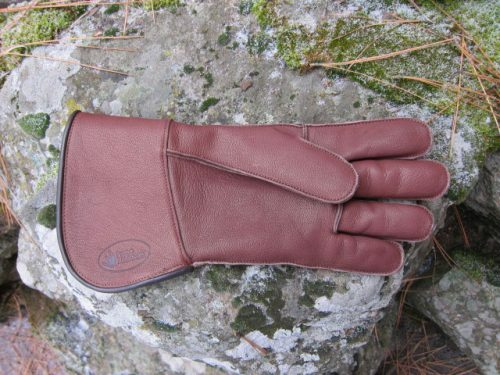 This gauntlet is suitable for large falcons and most redtails, Harris hawks, and goshawks. Made in the USA. 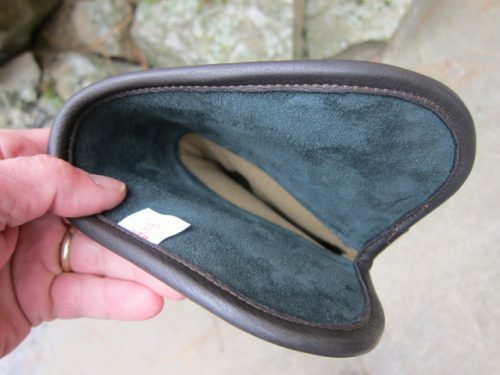 SIZES: Small (7 to 8-1/2), Medium (9 to 10), Large (10-1/2 to 12). 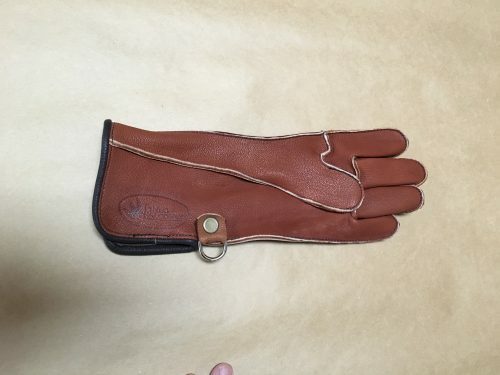 “D” rings fitted to gloves or gauntlets – please contact us directly for details. 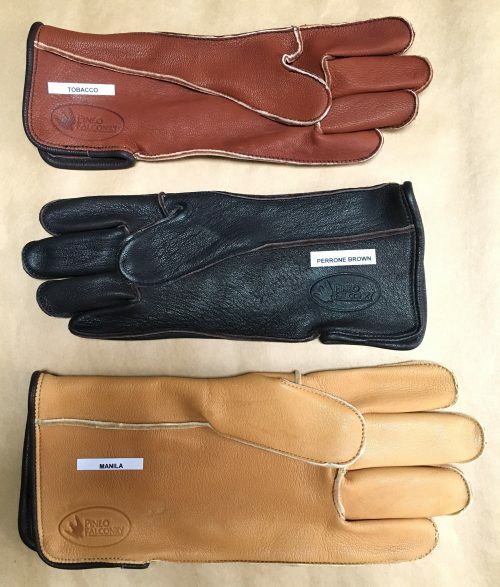 We offer custom cut gauntlets – please contact us directly if you require this. 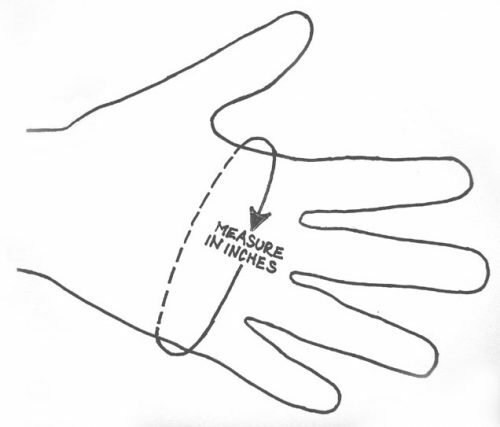 How to size your hand for gauntlet: Measure around your palm with a string or tape measure. The measurement in inches is your gauntlet size. If you prefer, email us a scan of your hand tracing.